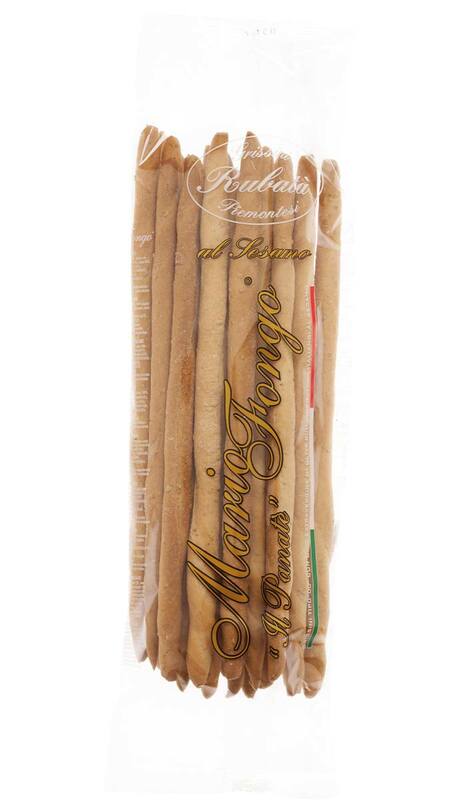 Just as good as when they were first baked in 1679, Mario Fongo’s Rubatà delight the taste with their delicate flavour and compact texture, making them ideal for the most imaginative combos. 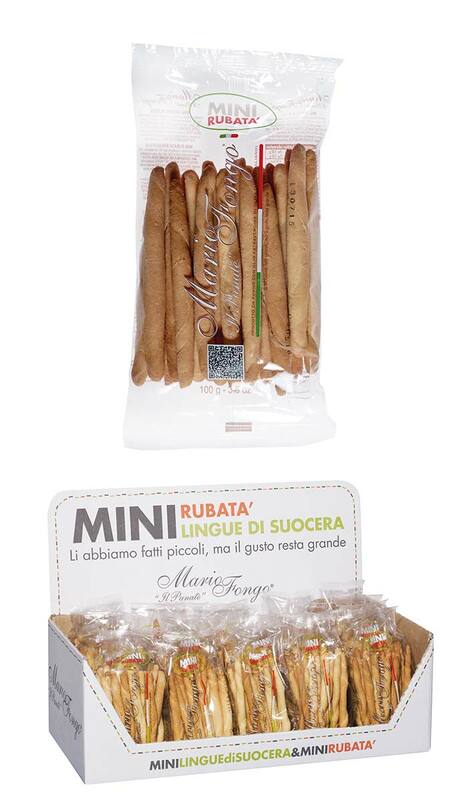 A variation for rubatà of traditional flavour: a new version with refined wholewheat flour. 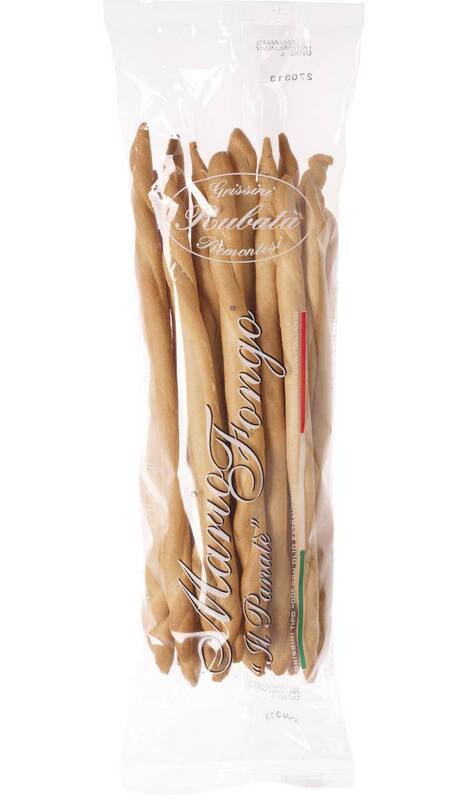 ​The genuineness of the ingredients selected by the Fongo family meets the ancient flavour of the fibers. ​When added to the dough, sesame seeds confer a warm oriental charm and an assertive and exquisite flavour. 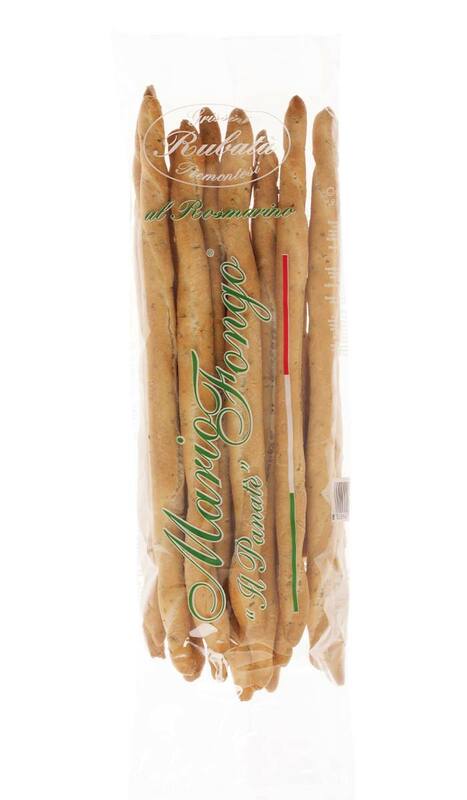 The tastiest breadstick combined with the aroma everyone loves: rubatà with rosemary, a promising encounter of taste. 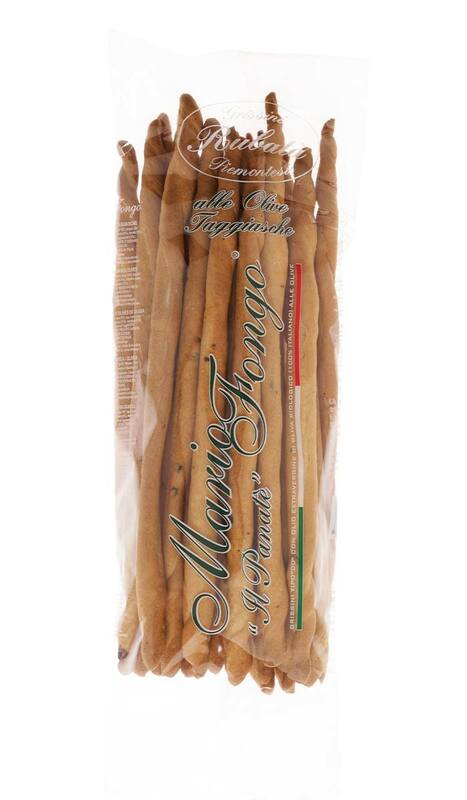 The tradition of Piedmont ventures to Liguria, where it meets the Taggiasca olive, and it is love at first sight: the enchanting crispness of the breadstick marries the intense and biting charm of the beautiful olive. 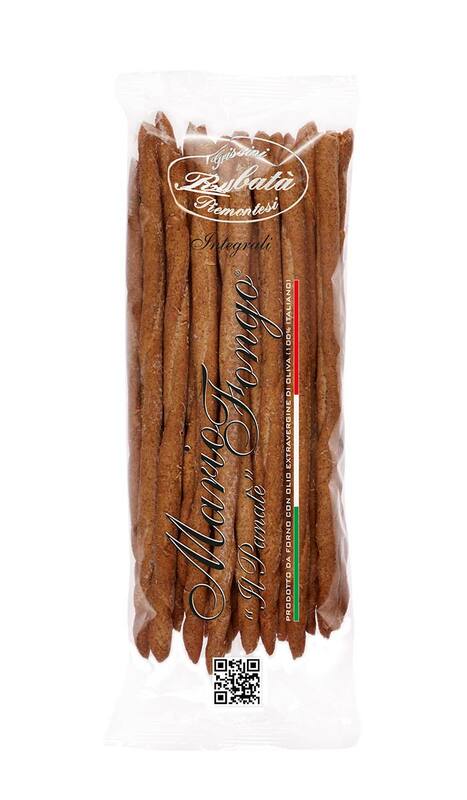 Just as good as when they were first baked in 1679, Mario Fongo’s Mini Rubatà delight the taste with their delicate flavour and compact texture. A heap of fragrance and flavour, in the 14 cm long size.